I've actually become totally addicted to this green smoothie. 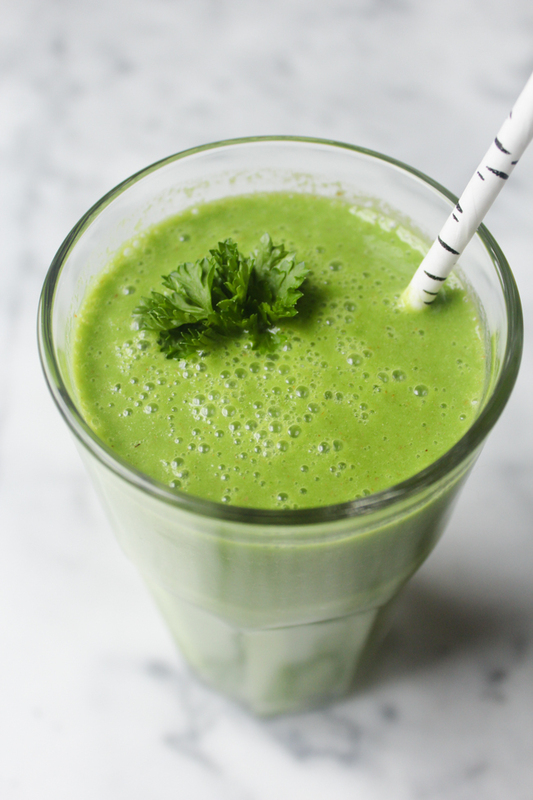 There's so much hype around green smoothies right now and it really is warranted. Green foods are a great source of phytonutrients and have amazing healing powers. High in chlorophyll, green vegetables rejuvenate the body with incredible anti-inflammatory benefits, strengthen the immune system, and detoxify the blood. 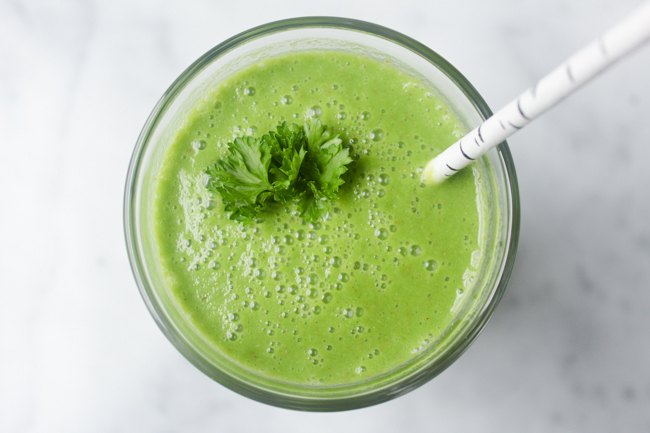 Thanks to the dark leafy greens, green smoothies are also a great source of non-dairy calcium, magnesium, and Vitamin C.
Unlike juicing, the fiber of the fruits and vegetables in smoothies is still intact, making them incredibly satisfying and filling. Making smoothies is also a lot easier and cost effective than juicing. When I first got my juicer, I was so excited to do my own DIY juice cleanse. This enthusiasm dissipated after I had spent $50 on the ingredients, cleaned up the mess, and was left with a pile of fruit and vegetable remnants. 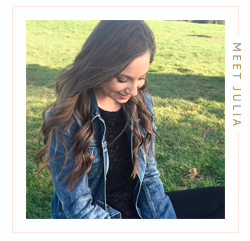 I love juicing every once in a while for an additional nutrition boost, but when it comes to something you can routinely have for breakfast, juicing isn't realistic. 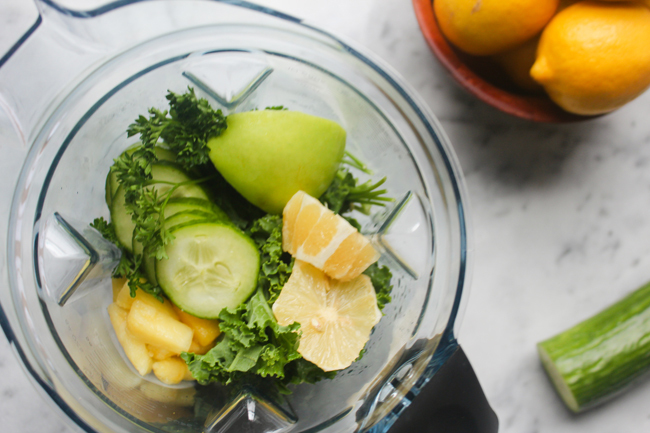 Smoothies are a breeze to make and clean up and you can feel good about the money you've spent because your body is receiving the full benefits of the produce. This smoothie has the perfect combination of fruits and veggies so that it's full of nutrients and super energizing but still delicious. 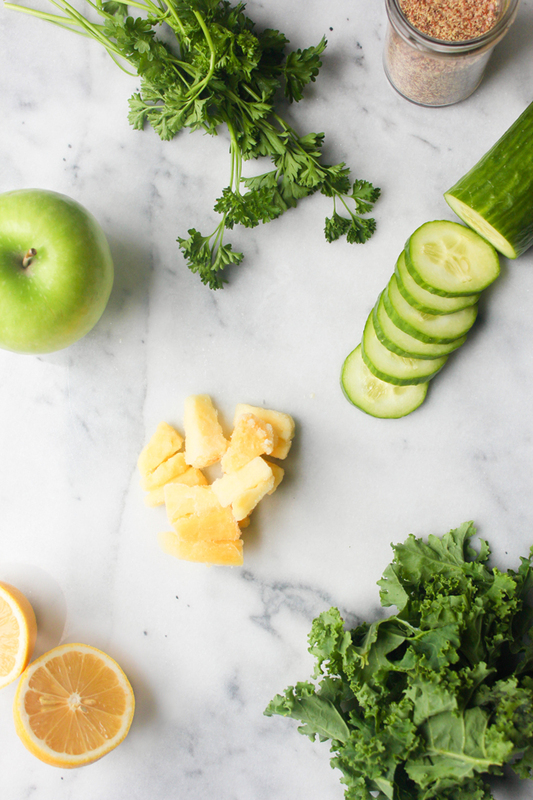 The kale, parsley, and cucumber provide the essential green vitamins and minerals while the apple, pineapple, and lemon round out the flavors and provide some sweetness. The flaxseed adds fiber, antioxidants, and most importantly omega-3 essential fatty acids, which are heart-healthy fats that are sometimes difficult to get in a plant-based diet because they're often found in fish. Coconut water adds a hydration boost and the coconut milk makes it rich and creamy. 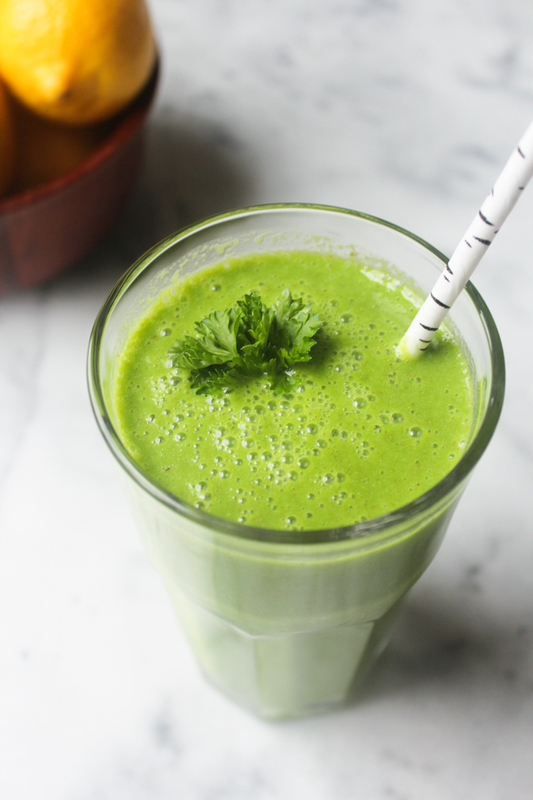 This smoothie has become my go to because it's the fastest and easiest way to get my vegetables in right from the start and feel incredible all day. 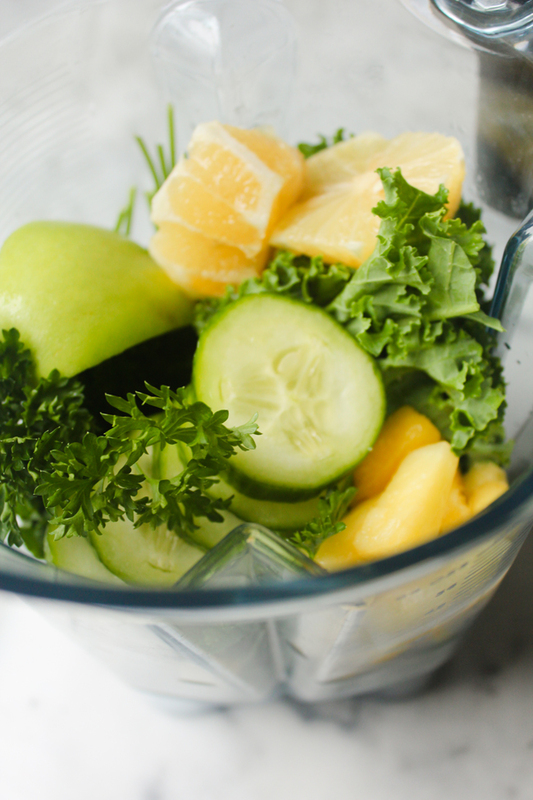 - Place all ingredients in a blender and blend until smooth.